tap on "LANCETTE" for take off hands or put. 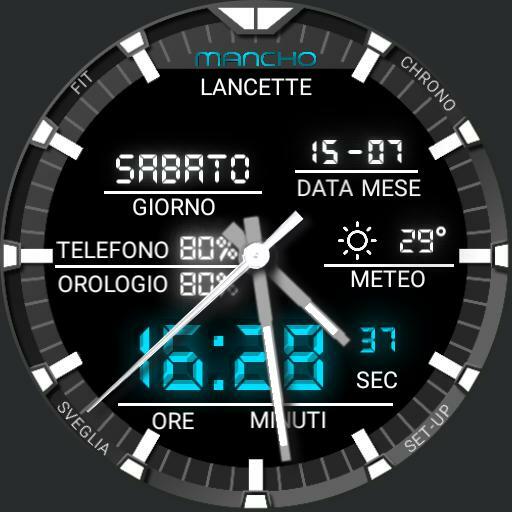 tap on chrono for chrono, sveglia for alarm and set up. tap on battery level for open battery level face. tap on date for agenda, tap on weather for forecast.